The first project launched by the Coll Perske Memorial Fund is the Perske Pinniped Health Project. This project will focus on research that continues to enhance the health and welfare of all pinnipeds, with a special emphasis on the California sea lion. With Coll’s inspiration, funds will be used to develop new medical and husbandry techniques, which could directly enhance the care provided to Navy sea lions. Funds will also be dedicated to wild seals and sea lions, applying veterinary expertise achieved with Navy animals toward medical response and conservation research initiatives. The first sub-project of the Perske Pinniped Health Project is a student research award for an undergraduate, recent graduate, or graduate student interested in marine mammal physiology and training. The Coll Perske Memorial Fund for marine Mammals is proud to announce a new partnership with UCSD’s PREUSS School! With support from National Marine Mammal Foundation employees, the CGP Fund will help the school create presentations to be used in their brand new marine mammal course in both the middle school and the high school at PREUSS. Recognized by Newsweek as the top transformative high school in the nation for three years in a row, the PREUSS School at UCSD is a unique charter middle and high school for low income students who strive to become the first in their families to graduate from college. Located on the UC San Diego campus, students come from 41 zip codes throughout San Diego County to take advantage of an environment that encourages intellectual risk-taking while offering an array of academic supports. NMMF employees have given presentations at PRUESS in the areas of veterinarian care, psychology and how it is used in marine mammal training, as well as in physics and buoyancy and how they apply to marine mammals. Through working with PREUSS students, the CGP Fund expects to be able to leave a legacy for hundreds of students for many years to come, and we are excited about making an impact on the community in this way. After careful review of 12 applications from around the world, the Coll Perske Memorial Fund for Marine Mammals(CGP Fund) is excited to support students Marina Banuet-Martinez and Casandra Gálvez as they present their pinniped research at the Society for Marine Mammalogy Conference in Halifax, Nova Scotia this October! Ms. Banuet-Martinez’s research regarding the impact of atypical environmental conditions on low levels of genetic variation in the California Sea Lion population and Ms. Gálvez’s research on the impact of the warm water “blob” on Guadalupe Fur Seals stood out among the 12 applications received by the CGP Fund. As a result, the CGP Fund has provided each student with a $200 award, covering the cost of conference registration and some incidentals. Congratulations to Ms. Banuet-Martinez, and Ms. Gálvez – The CGP Fund is grateful for your contributions to pinniped research, and we look forward to your presentations at the SMM Conference in October! The first award of 2017 will be a The Coll Perske Memorial Fund is excited to announce that we will provide a $200 award for a student member of the Society for Marine Mammalogy (SMM) to attend the 22nd Conference on the Biology of Marine Mammals. This conference will be held in Halifax, Nova Scotia, Canada from October 22-27, 2017. Undergraduate or Graduate students that have been selected for oral presentations regarding research with pinnipeds may apply. Applications are due July 12, 2017. While working as a sea lion trainer at the Navy’s Marine Mammal Program, Coll helped to collect data for a California sea lion diving physiology study that hasn’t yet been completed. The 2016 Coll Perske Student Research Award, which is providing a student stipend of $2,000.00 to a qualified graduate student with a background in marine mammal physiology, aims to further analyze the data that Coll helped to collect. The committee received a number of exceptional applications for the 2016 Coll Perske Student Research Award. Following a thorough selection process, the committee is proud to announce the recipient for the 2016 Coll Perske Student Research Award, Ms. Natalie Bickett. Natalie is currently in pursuit of her Master’s degree at the Scripps Institution of Oceanography. 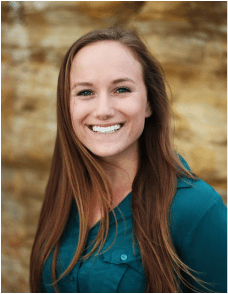 Natalie’s research focus on diving physiology of marine mammals, coupled with her vast field experience, made her the ideal selection for this project. In the months to come Natalie will be working under the mentorship of Dr. Sam Ridgway and will have the opportunity to learn from the animal care and training staff at the U.S. Navy Marine Mammal Program. The committee is excited to have Natalie complete the research that Coll was so passionate about. Since 2013 the NMMF has responded with urgency to the tragic sea lion stranding events along the coast of California. The Coll Perske Memorial Fund for Marine Mammals subsequently presented the first ever Coll G. Perske Volunteer Award to NMMF employee Pixie Rixon for volunteering the most hours worked during the crisis.